FORMER leaders of the Movement For the Emancipation of the Niger Delta (MEND) from nine states of Niger Delta region, yesterday, commended President Muhammadu Buhari over the appointment of Brig-Gen. Paul Boroh (rtd) as substantive chairman of the Presidential Amnesty Implementation Committee. According to the leaders, the appointment is apt, responsive and will resolve the concerns raised by the people of the Niger Delta region over hitches in the Amnesty programme and delay in payment of outstanding allowances and scholarship fees. Joining the MEND leaders to hail Boroh’s appointment, commanders and entire leadership of the Iduwini Volunteer Force (IVF also commended Buhari. “We want to salute the President, for this show of solidarity with the Izon nation and we promise that the confidence reposed in him will not be a wasted one,” the group said in a statement signed by the IVF Acting Commander, Don Frank Kalar and the Unit Commander, Jerry Gole. Also, the Urhobo Nationality Council (UNC) has applauded the choice of Boroh, saying it will go a long way in strengthening and eliminating all suspected inherent weaknesses that weighed down the effective operation of the programme. A statement yesterday in Asaba by the National Leader, Olorogun Jaro Egbo, said the appointment of Boroh was in line with UNC’s position that rather than scrap the programme it should be reorganised and strengthened to enhance its effectiveness and focus on addressing the plight of the ex-militants. He prayed that Boroh, a world renowned peace keeping expert will deploy his wealth of experience to rise to the occasion and do the various ethnic nationalities and indeed the nation proud. But an Itsekiri, Comrade Joseph Tenumah, faulted Boroh’s appointment, describing it as not only a reconfirmation of the long held view that the Niger Delta is only for the Ijaws while the other ethnic nationalities that constitute the region are seen and treated as second class citizens. The former MEND leaders, under the aegis of the Leadership, Peace and Cultural Development Initiative (LPCDI) led by Pastor Reuben Wilson, said that though the appointment was delayed and nerves frayed among beneficiaries of the programme, the choice of Boroh is welcome and commendable. 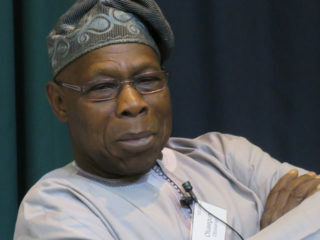 According to Reuben: “The happiness expressed over the appointment is coming due to the show of listening ears by Buhari to our passionate appeal expressed by the former militant leaders on the heels of avalanche of complaints received by the indigent parents of the Amnesty beneficiaries at home and abroad that their children and wards are currently experiencing hardship due to lack of funds. ‘‘Mr. President has shown that his administration did not loose sight of the germane issue that brought about the Presidential Amnesty Programme (PAP) and has shown that he will save it from total collapse. ‘‘We use this medium to remind the President and the good people of Nigeria of promises to the people of Niger Delta about more positive changes. The peace we are enjoying in the Niger Delta area today is because of the Amnesty programme initiated by the late President Umaru Yar’Adua because he had the interest of the Niger Delta people at heart. crude oil per day. The truth is that anybody who means well for the people of Niger Delta will not delay the payment of the Amnesty monthly stipends for a period going to three months now. The appointment shows that our cry in the last few months have been heard as President Buhari has taken this step to save the programme the late Yar’Adua initiated. ‘‘As a result of this step, Niger Delta youths would be going back to school to continue their training. The people of the region are happy that the over 30,000 youths will not return to the creeks but go back to school. “Nobody will be happy to go back to the creeks which is why we, the leaders, keep preaching to the boys to continue to embrace peace. It will be shameful to us in the region to see our children being sent back because of lack of funds. 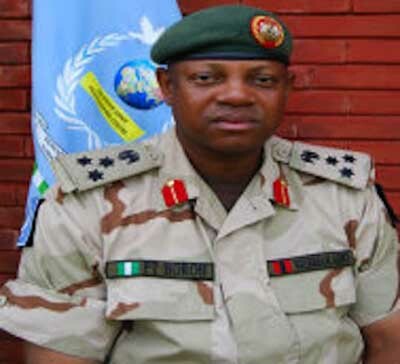 The IVF statement welcoming Boroh’s appointment said: “Our heart is filled with sadness to report that none of our members reputed for their tenacity in the Niger Delta struggle who were documented after following all the processes of arms disarmament and training at the Obubra Training Camp has benefited from the programme till date. ‘‘It is also instructive to know that we are not alone in this shameful act of top officials of the amnesty committee who have used their exalted office to remove names of our members and several other group members from benefiting from the labour of our hand. ‘‘We want to use this opportunity to request that the new head of the amnesty office must do the needful by calling for a critical stakeholders meeting with a view to addressing injustices perpetuated by the previous leadership of the programme,” the group said. How long will the amnesty continue. There must be a specified time to end it. But before then, Niger Delta should be declared an emergency place for Marshall Plan. 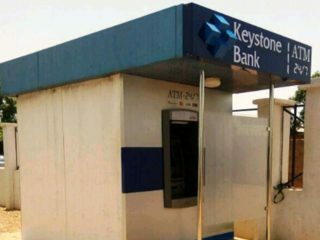 The place should be massively developed with the oil money. Development comes in terms of good road, schools, hospitals, constant power, etc. The plan should last for 20 years.